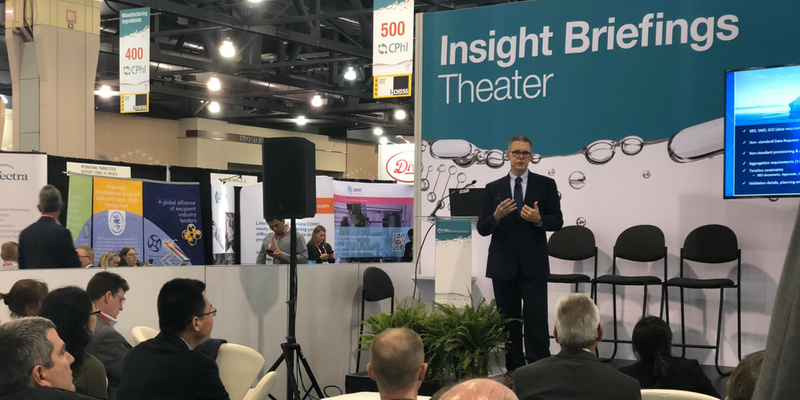 On Wednesday, April 25, 2018, serialization technology and implementation expert Rick Seibert presented an insight briefing on recent serialization challenges at CPhI North America in Philadelphia, PA. In this presentation, Serialization: Value Beyond Compliance, A CPO Perspective, Seibert provided insight into the industry’s serialization implementation status and challenges faced by organizations currently engaging in serialization projects. He also explored what comes next for companies after making the necessary human and technological investments to comply with serialization requirements, as well as examples of how a digitally connected supply chain can bring opportunity to stakeholders beyond compliance.